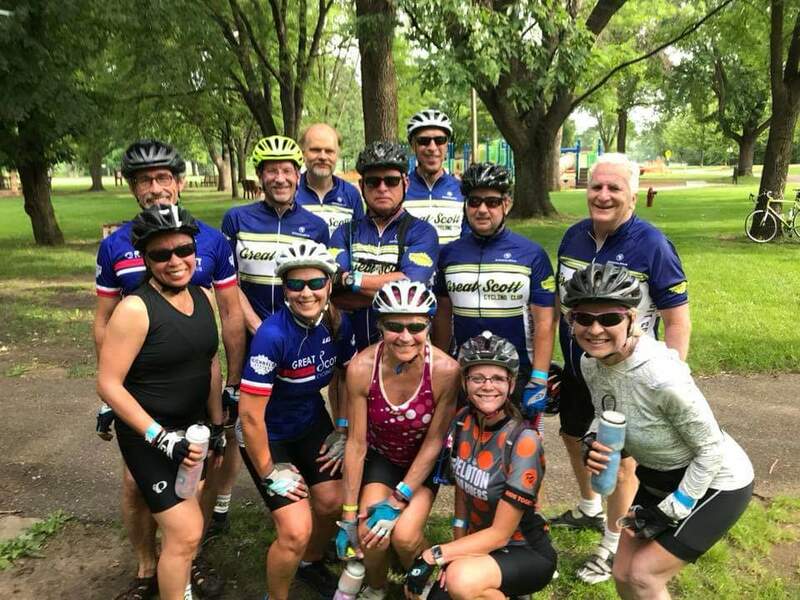 The Great Scott 50 Classic Bike Ride will be held rain or shine on July 4, 2019. *New this Year* A family fun route (approx 10 miles) will be available that will be mostly on trails. Doughnuts and juice/coffee will be provided. Check-in begins at 7:15 am. All riders will depart from Lakefront Park. 50 mile route departs at 8:00 am, 25 mile route departs at 8:15 am and Family Fun Route at 8:30am. This route allows recreational riders to participate. There will be one rest stop along the way. Departs at 8:30 am. Well-supported with 3 rest stops, the 50-mile route is what the ride is named for. Enjoy the sights, sounds, and smells of rural Scott County, Minnesota. Departs at 8:00 am. Refreshments are provided at all rest stops and lunch is served after the ride at Lakefront Park. Mechanical support and SAG service is provided by Michael's Cycles. If you prefer to mail your registration and payment, a registration form can be downloaded by clicking here. Please make checks payable to "Great Scott Cycling Club".